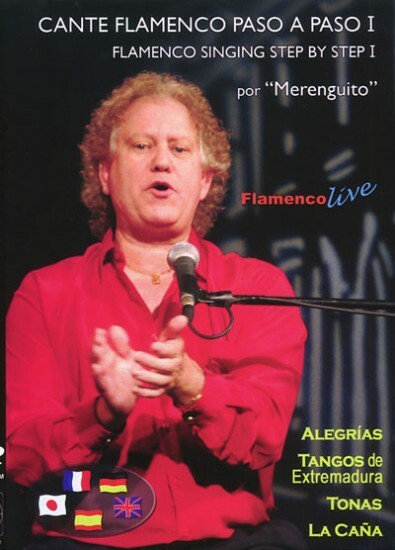 DVD - Antonio Izquierdo, Cante Flamenco Paso a Paso I, "por Merenquito"
Cante Flamenco Paso a Paso I, "por Merenquito". The songs “step by step”: beats, timing, words, intonation, variations depending on their geographical origin, history, etc. Access to three image set ups: the whole group, only the singer and only the guitar: All display the beats and the chords of guitar on the screen. There is also the possibility of reducing the volume of the singer or the guitar so that you can practice with the group.